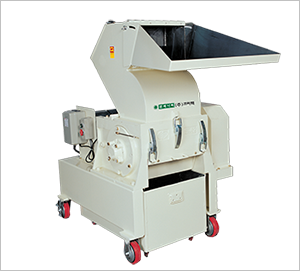 Crutec’s High Speed Granulator can granulate large quantity of scrap or lumps in short period of time as it has strong power and solidity of structure. 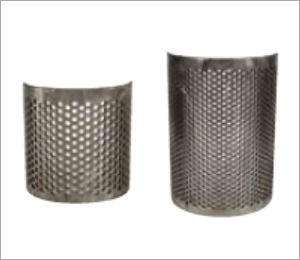 It offers various applications to granulate any shape of scrap. The unique one-touch disjoint type helps convenient and simple cleaning inside resulting in maintaining pure color of material. Due to cast-iron hopper in granulating room it offers drastically lower noise level. 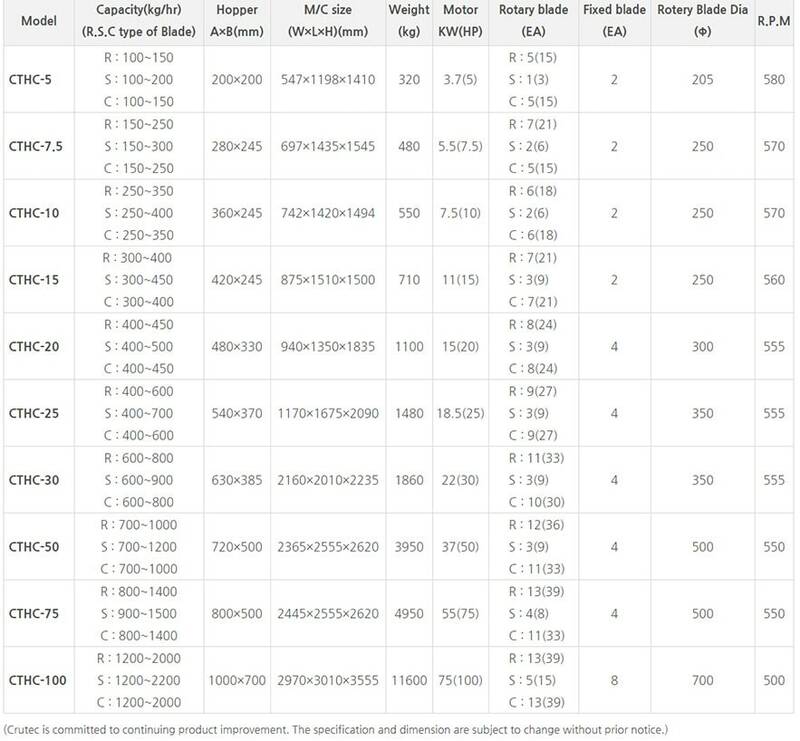 This is most suitable for large parts and large volume crushing in a shortest time by its high speed rotating power. The rational design by 3D engineering and simulation is realized. Selected grade material and CNC machining it ensures superiority in precision and sustaining even qulity machine in mass production. 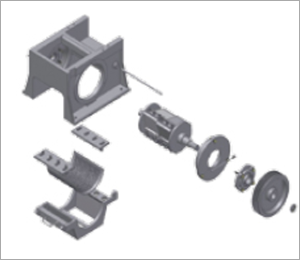 To reduce noise occured in crushing large parts at high speed the cutting chamber is made with casted iron of thicker wall. For prolonged durability of knives the material is SKD 11 grade followed by heat treatment. 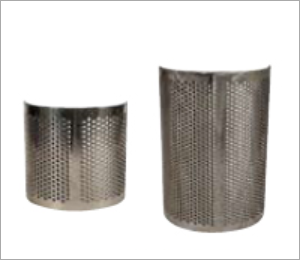 In addition, for its easy and convenient detatchment the used knives can be reused after grinding resulting in drastical saving of maintenance cost.